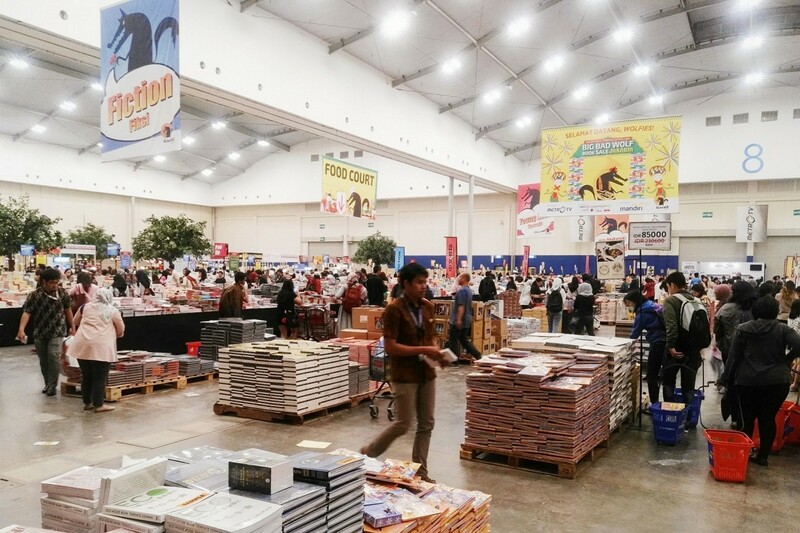 The annual Big Bad Wolf book sale is slated to return from March 1-11. As announced on Instagram, the event is set to take place at the Indonesian Convention Exhibition (ICE) in BSD, South Tangerang, Banten. "I'm bringing 5.5 million books with discounts of 60 to 80 percent on all imported books," the caption reads. The upcoming event will mark the fourth time for the 24-hour sales fair to be held in the Indonesian capital. The popularity of the Big Bad Wolf has continued to grow; the event now attracts hundreds of thousands of visitors throughout its run. A notable spike occurred in 2017, when the event welcomed 720,000 shoppers, twice as many as in the preceding year, with more than 40,000 visitors daily leading to long queues during busy hours.